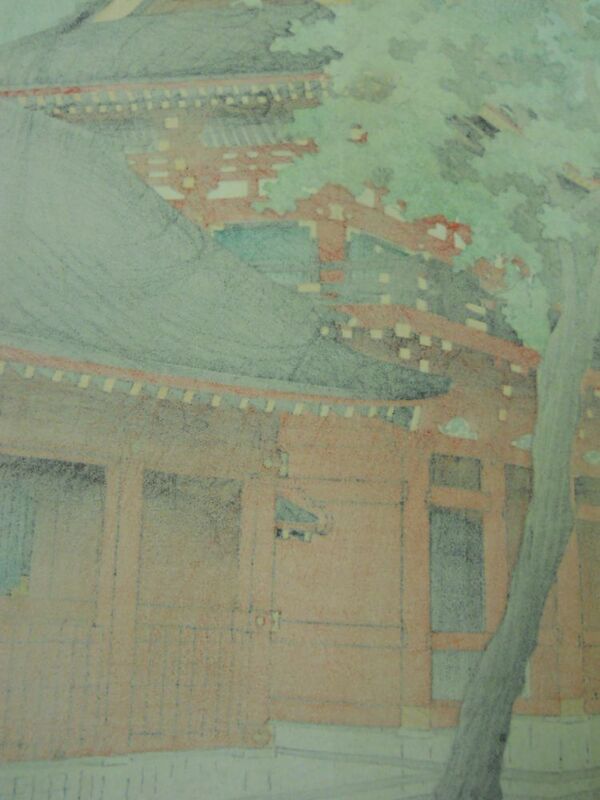 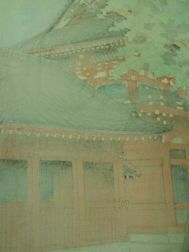 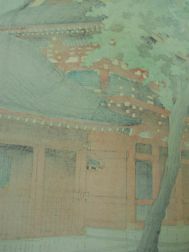 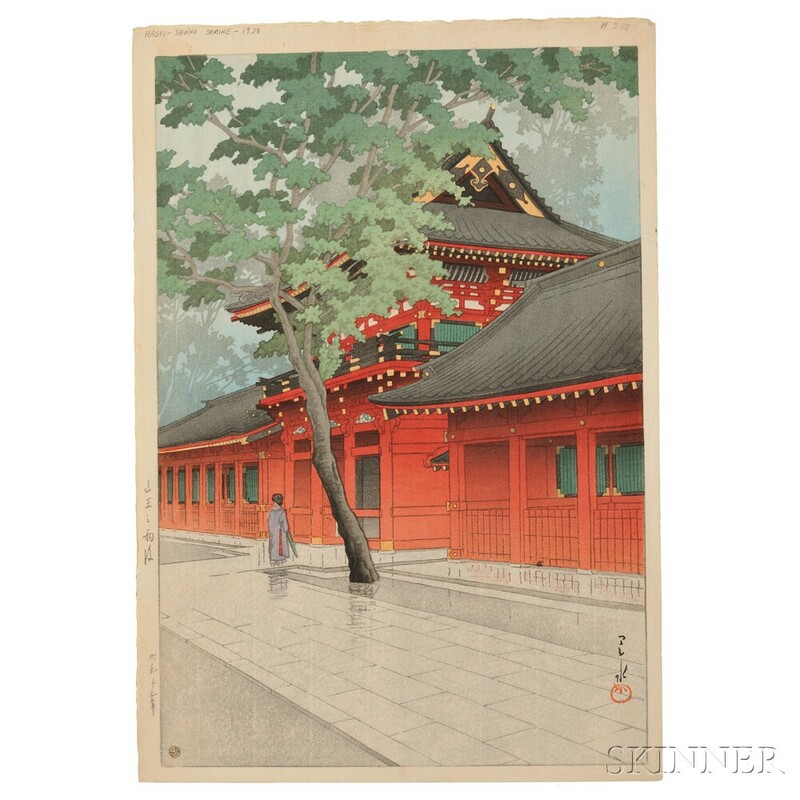 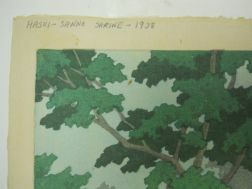 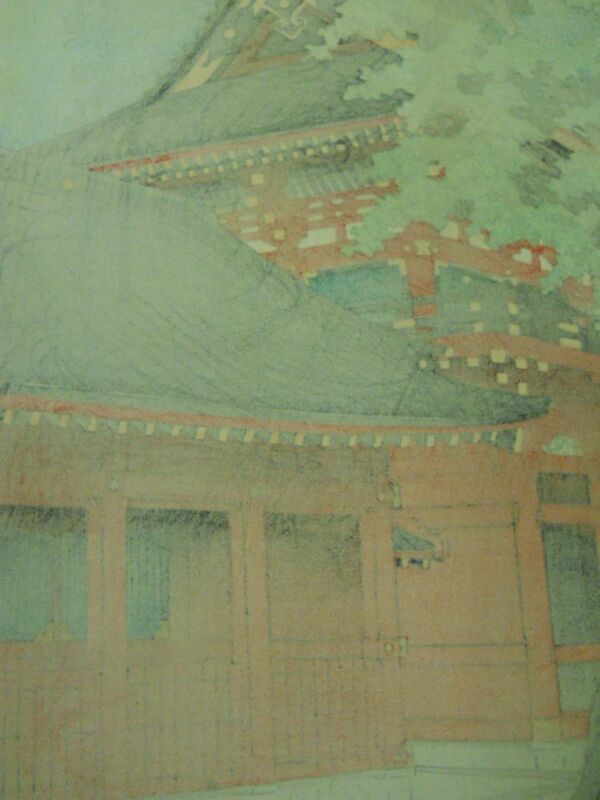 Kawase Hasui (1883-1957), Sanno Shrine after Rain, Japan, 1938, color woodblock print, published by Watanabe, later edition, signed with seal, publisher's J-seal (posthumous) on print, titled and dated on left margin, oban tate-e, 15 1/2 x 10 1/8 in. 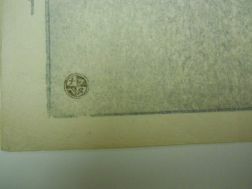 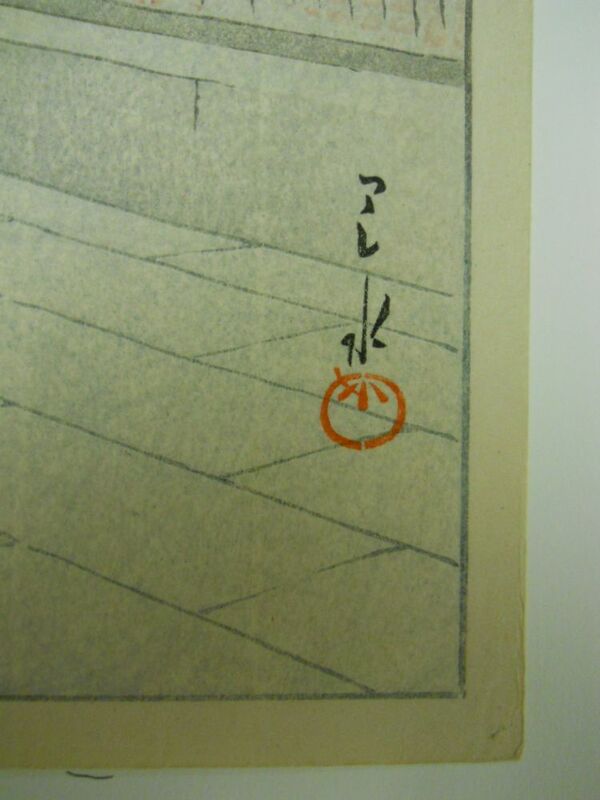 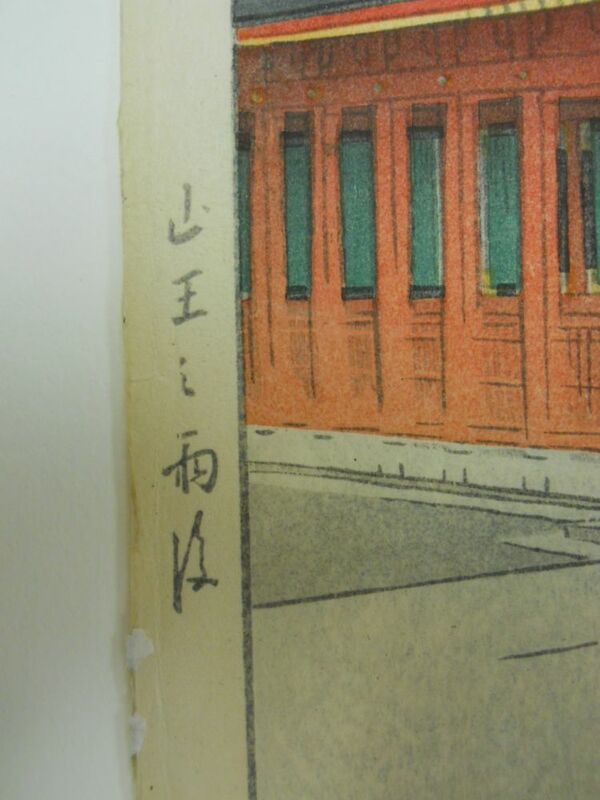 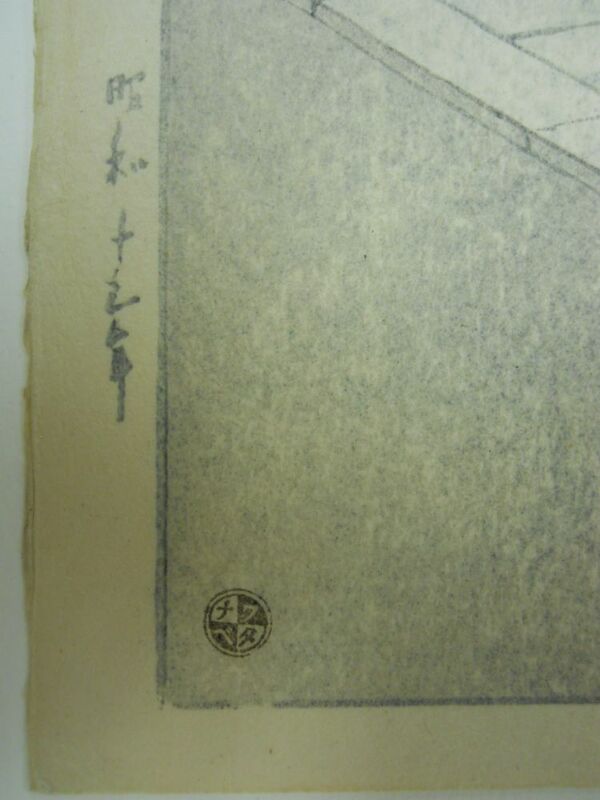 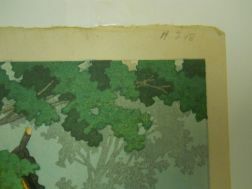 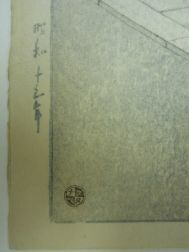 Condition: Lightly toned along edges, staining in margins, mild buckling, handwriting in pencil to upper margin. 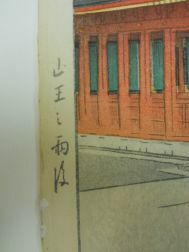 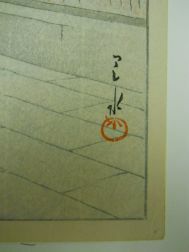 Lightly toned along edges, pristine stain on margins, mild buckling, handwriting in pencil to upper margin.